Cholla wood branch (collected on a walk here in Tucson). 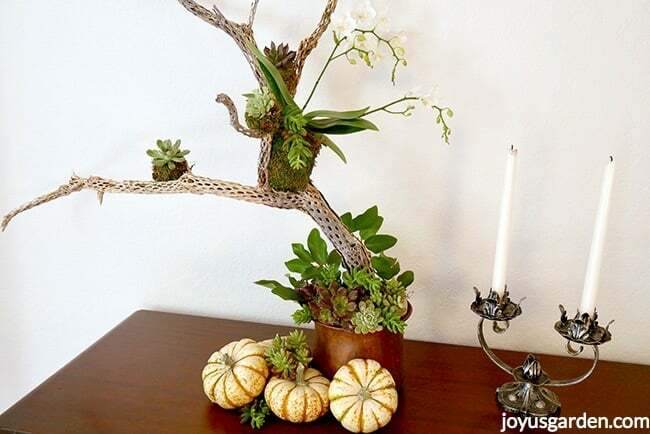 1- Wrap the root balls of the succulents & the orchid going on the branch with sheet moss. 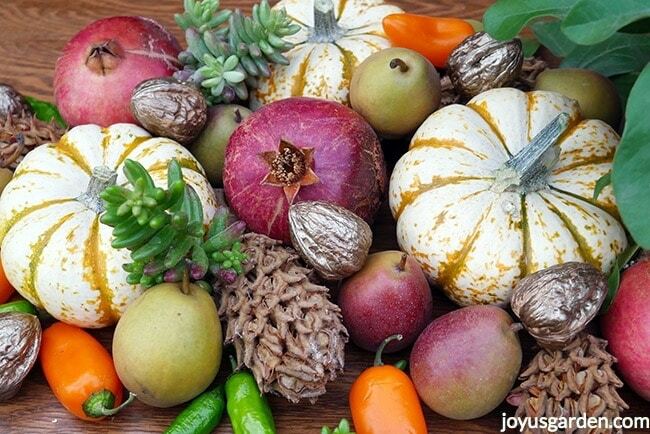 Wrap the root balls as you would packages & secure with hot glue. The orchid was largest so I wrapped it with wire too. 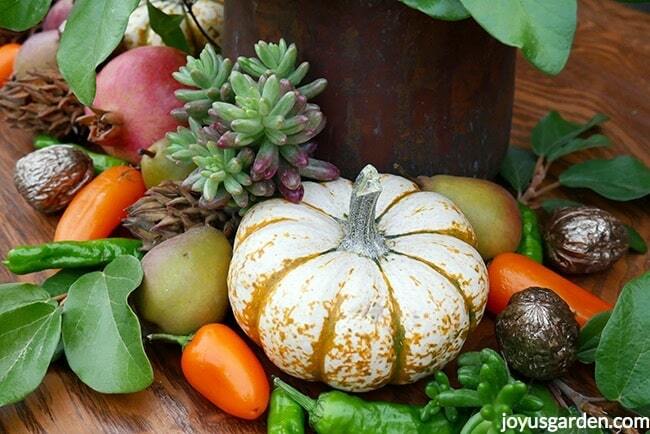 Tip: Dampen the moss 1st because it makes it more pliable & easier to work with. 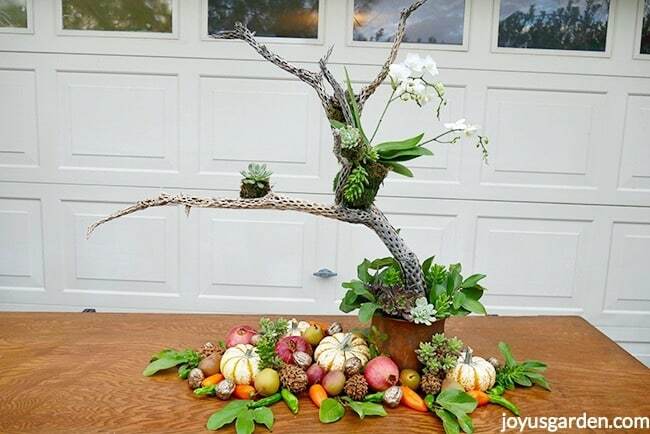 2- Attach the wrapped bundles to the cholla wood branch & secure on with wire. Cholla wood is loaded with holes so it’s great for this kind of project. 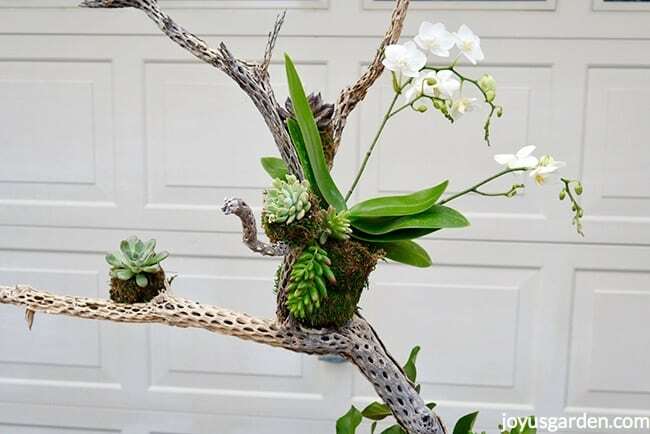 3- Remove the stakes from the orchid because it gave the piece a more natural look. 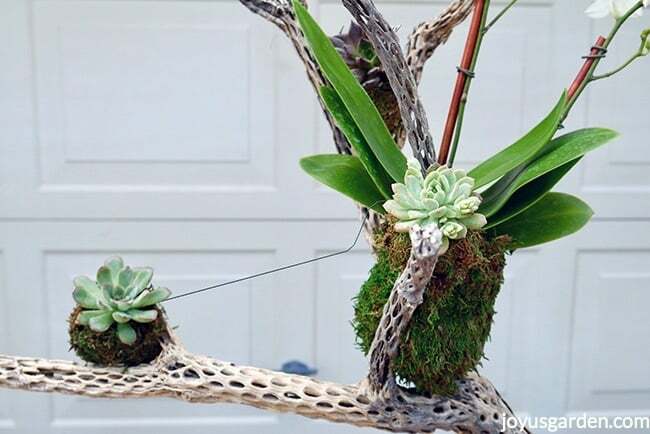 I tied the longer orchid stem to the branch with a piece of green moss twine. Here’s the simplified version I put in my dining room after the filming. The finished piece as I made it outdoors at my work table. 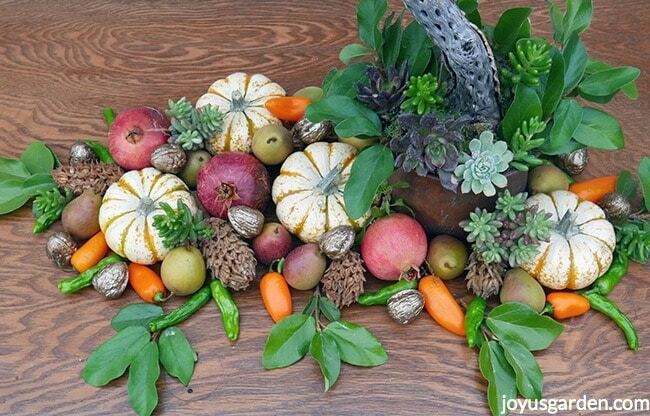 4- I start the decor on the table by placing the largest pieces – with this, the pumpkins & the pomegranates. I work in everything else where I find it pleasing. You’ll see this in the video. I always do a little tweaking at the end because of aesthetics or simply because some ingredient isn’t staying put. 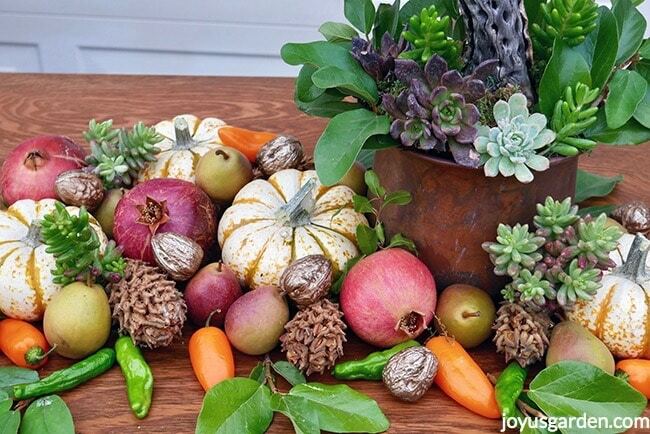 5- I put succulents, succulent cuttings, moss, & foliage at the base of the pot. The look appeals to me & it covers up the rock which is anchoring the branch. 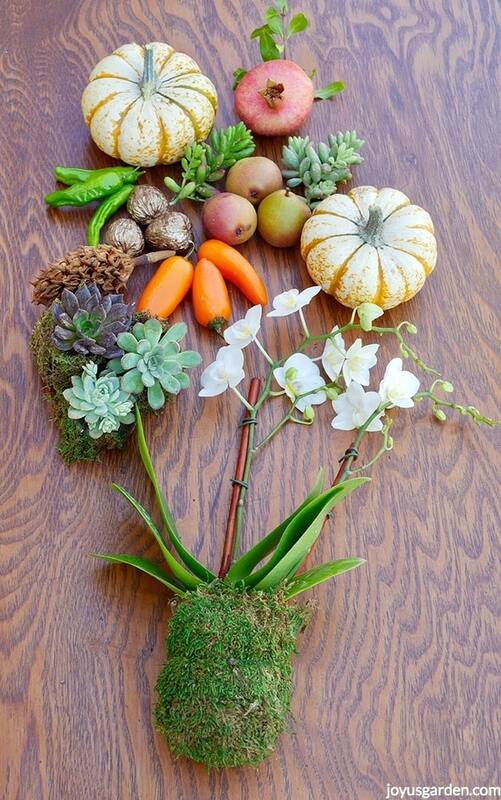 The post A Fall Table Decoration With Succulents, An Orchid & Other Natural Elements appeared first on .